During Advent, many families and parishes have the custom of the Jesse Tree (go here for a beautiful description of what it is and how it works). And, of course, in Christian homes all over the world, Christmas trees will be set up in due course, decorated in all sorts of ways, as the month progresses towards the great feast of the Nativity of Our Lord. What’s the big deal with trees?, one might well ask. The ancient logicians pointed out that when a particular member of a genus stands above the other members due to some feature that transcends the genus, it often gets a special name to distinguish it. Thus, because man is the noblest of animals, he is not merely called “animal” (although he is an animal), but gets the special name “man,” to set him apart from the vast realm we call (merely) “animals.” In the same way, trees, although they are plants, are so much the noblest of plants that they get their own name, “tree.” Just as we don’t say “let’s have some animals over for dinner” if we want to have people over, so we don’t usually say “our yard needs more plants” if what we mean is “our yard needs more trees.” As man is the greatest of sensate living creatures, so trees are the greatest of insensate living creatures. No wonder, then, that trees are found throughout the Bible, from start to finish—the trees in the garden; the tree Moses threw into the bitter waters to make them fresh; the fatal tree on which David’s son Absalom was caught; the tree under which Elijah rested and was visited by an angel; the trees cut down and shipped to David and Solomon for building palace and temple; the cedars of Lebanon to which holy Confessors are compared; the trees with medicinal leaves planted along the river of the New Jerusalem. And there is the noblest Tree, beyond compare: the Cross of Our Lord Jesus Christ. One might reasonably think, therefore, that we can learn a lot about spiritual realities by looking at trees. Here I shall only mention a few points and leave the reader to draw out more. The root of a tree is that by which the tree takes up nourishment, that through which it flourishes and produces fruit. Now, sin flourishes through that which inclines a man to sin. But this is the good sought, to which the one sinning is inordinately turned, because the end moves efficiently. Hence it is necessary that the “root of sin” be put on the side of a turning toward something, and a “root” be described as that from which sin arises. With this Thomistic inspiration, let us consider how a healthy tree works. 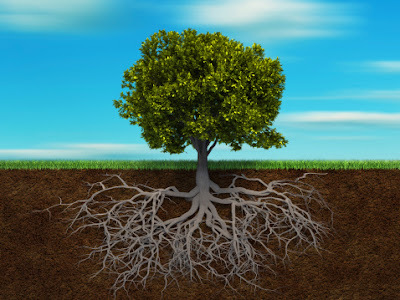 It takes in water and nutrients from deep within the soil, not only through a vast network of variously sized roots, but also by sending down a taproot that connects with the dampest soil directly below. With the nourishment thus acquired, the tree can produce the cells that expand its roots, trunk, branches, twigs, leaves, and seeds or fruits. Special cells at the tips of twigs divide to produce growth; the same occurs with a layer of cells under the bark, the cambium. But ALL of this wondrous growth depends on the size and health of the root system. 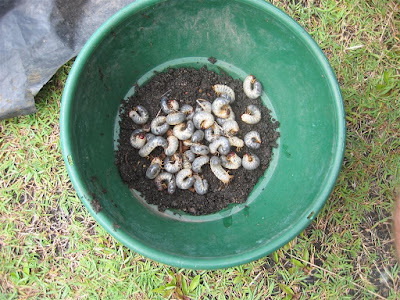 When drought occurs, or when diseases and parasites strike the roots, crippling and killing them, the tree’s condition soon deteriorates to reflect that of the roots. The Catholic Church is like a tree whose roots are Sacred Tradition and Sacred Scripture, and whose trunk is the authentic Magisterium that transmits the precious nutrient-rich fluid up from below into the branches and leaves. As the roots of a healthy tree push further and further down, so too, the Church when healthy puts deep roots into the sources of revelation and the great heritage of the past, literally living by them. The leaves themselves are the faithful, both clergy and laity, and the fruits are the good works, the works of the Spirit. When the roots suffer the drought of forgetfulness or superficiality, when they are attacked by the diseases comprised by the term ‘modernism,’ when they are eaten away by the parasites of worldliness, secularism, and the Zeitgeist, the entire organism grows weak, becomes brittle, hardens, loses its growth, begins to droop and wither. “His roots dry up beneath, and his branches wither above” (Job 18:16). Eventually it would die, if it were not sustained by the hand of the divine Gardener who will not allow it to die — but who does permit it to suffer. The authentic Magisterium slowly grows in magnitude, like the trunk of the tree, but it is the same tree all along, and the same trunk, transmitting nourishment from the same root system to however many leaves the tree now supports. Formally, it is always the same organism; materially, of course, it grows, develops, old cells die and new ones are produced. The tree can only produce abundant and delicious fruit if all of its parts are healthy, well connected, and properly rooted, and close to an abundant external source of life. “He is like a tree planted by streams of water, that yields its fruit in its season, and its leaf does not wither. In all that he does, he prospers” (Psa 1:3). 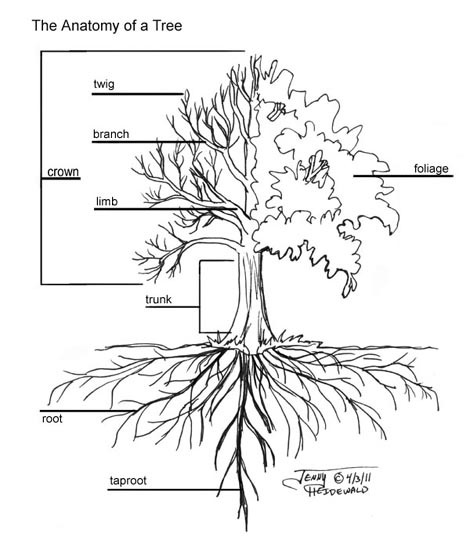 Consider this, too: as is well know, a tree produces beneath the ground an enormous root system comparable in magnitude to that of the fully-grown tree above the ground. 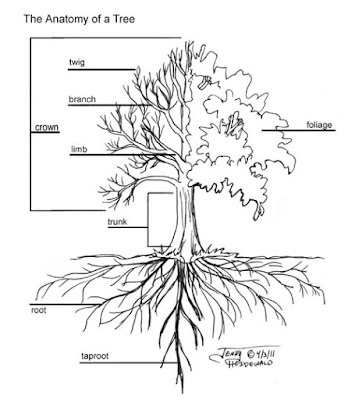 The taproot, in particular, goes very far down to ensure the continual supply of water necessary for life. This, for us, can serve as a perfect metaphor of how the active or external work of the Church must be deeply rooted in her tradition, with a tap root of worship that goes right down the ages to the beginning, and has not been severed. The traditional liturgical life of the Church, East and West, is the tap root that unites the apostolic origins to the least and furthest fruit hanging off the branches today. But just as the tree would suffer if all the other roots were severed except the taproot, so, too, it is fundamentally mistaken to isolate a supposed “early Christian liturgy” (a concept that Bradshaw has, in any case, problematized past all recovery) and expect it to sustain the tree. Rather, the entirety of the huge and slowly-developed root system is needed, and this is the slow, patient development and expansion of the liturgical tradition over the centuries, under the watering and fertilizing of the Holy Spirit. If we think about trees, we will understand why and how the Church flourishes with leaves, buds, and fruits (catechumens, virgins, widows, missionaries, priestly and religious vocations, holy marriages, lots of children), and conversely, why and how she fails and falters in this or that part of the world. The circulation of sap from root to fruit must be good and continual, ever renewed, protected from parasite and disease, healed from damage. To switch metaphors, if the Church is like a garden, are we doing our part as subordinate gardeners to promote or restore the health of this noble plant? There are plenty of diseases and insects that attack the above-ground parts of the tree, and these can damage even a plant with the best possible root system; but a plant with a poor root system can never flourish, no matter how much care one lavishes on its visible extremities. Our priority, then, must always be to nurture the roots. Watch out for the modernists!